Corgi Diecast-Models:Corgi 26507 https://www.warplane.com/images/Products/26507.jpg Viewed as a thoroughbred fighter, only the best pilots of the RAF’s elite squadrons were selected to fly the capable Hawker Fury, which was seen to represent the effectiveness and professionalism of the modern Royal Air Force. No.1 Squadron began receiving their Hawker Furys in February 1932 and this early example is presented with the larger pre-1934 roundels and rudder stripes, as well as having the individual flight’s colours painted on the top fuselage decking. As the ‘C’ Flight Commander’s aircraft, it also carries the flight’s yellow colour on the fin, spinner and wheel covers giving this handsome aircraft an even more striking appearance. 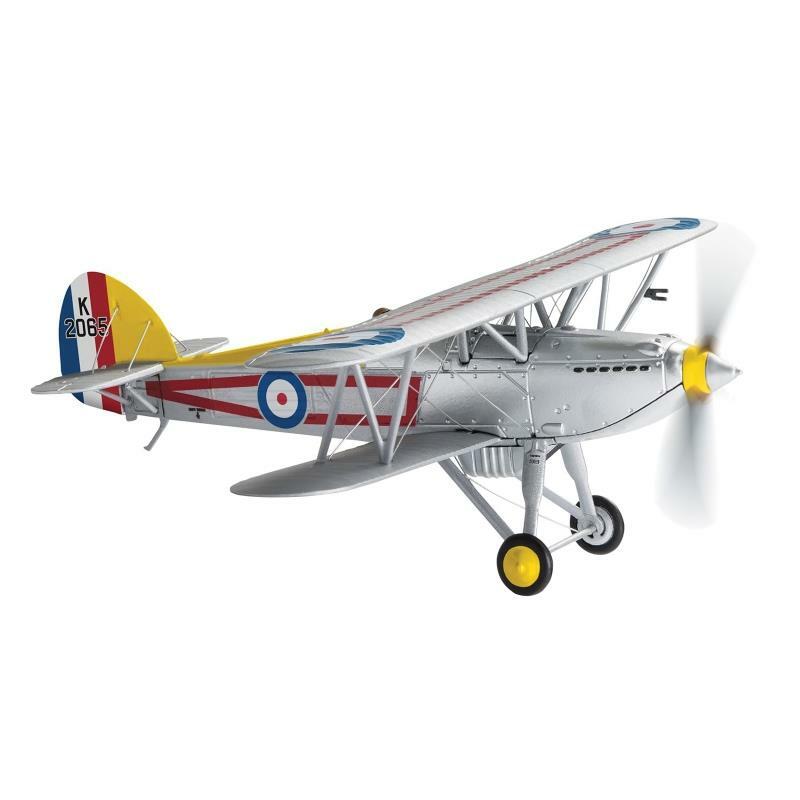 Description: Viewed as a thoroughbred fighter, only the best pilots of the RAF’s elite squadrons were selected to fly the capable Hawker Fury, which was seen to represent the effectiveness and professionalism of the modern Royal Air Force. No.1 Squadron began receiving their Hawker Furys in February 1932 and this early example is presented with the larger pre-1934 roundels and rudder stripes, as well as having the individual flight’s colours painted on the top fuselage decking. As the ‘C’ Flight Commander’s aircraft, it also carries the flight’s yellow colour on the fin, spinner and wheel covers giving this handsome aircraft an even more striking appearance. Can be displayed with gear up or down.